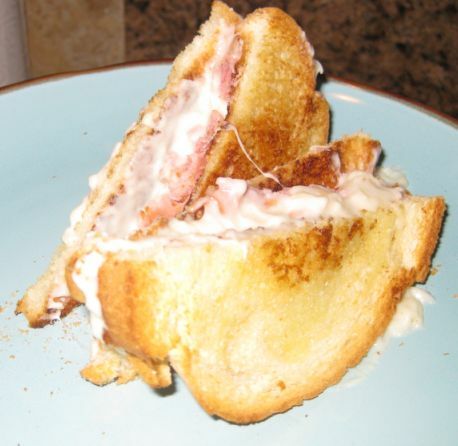 What is a Croque Monsieur (Mister crunch in French)? 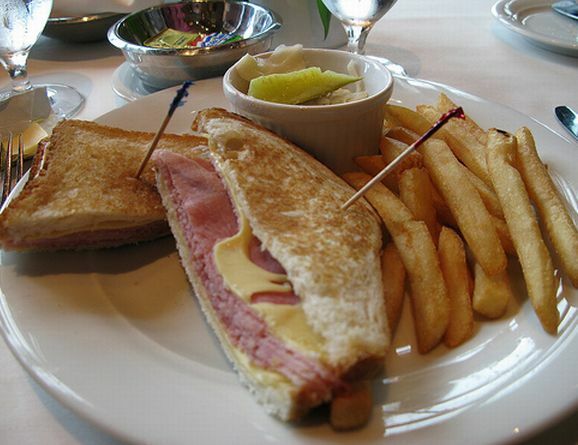 A Croque Monsieur is a French version of the ham and cheese grilled sandwich. 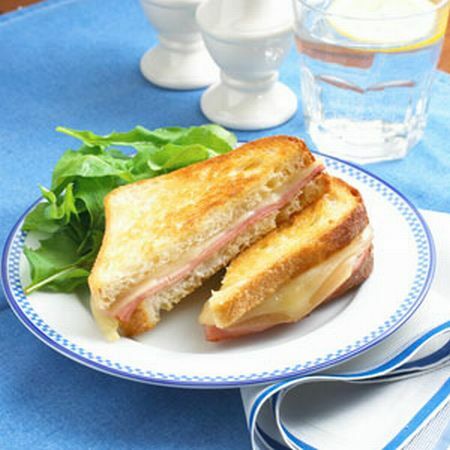 The Croque Monsieur is originally served in cafés and bars as a fast food snack and then it became so popular because it is simply a crowd pleasers. 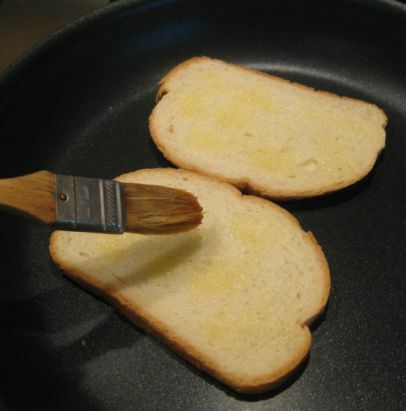 The difference between an American grilled cheese and the French version is that the French version is served with a Sauce Béchamel sauce that is oozing out of the sandwich. 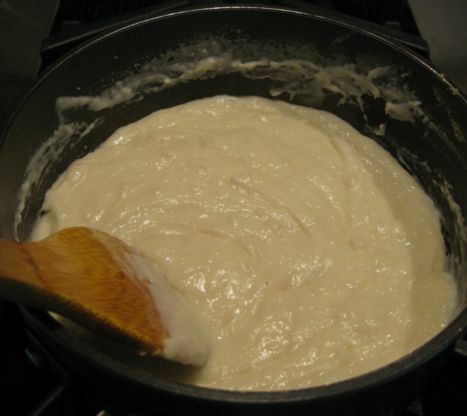 Béchamel sauce is one the basic French sauce made with butter, flour, and milk. 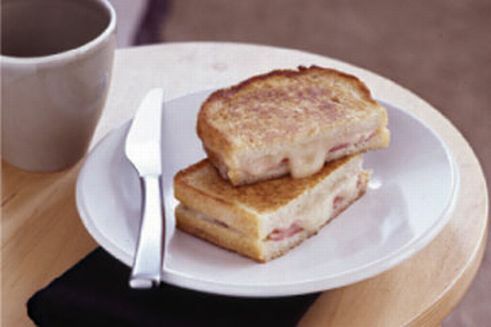 Kevin does like sandwiches so I told he should try a Croque Monsieur and ever since the Croque Monsieur is his favorite sandwich. 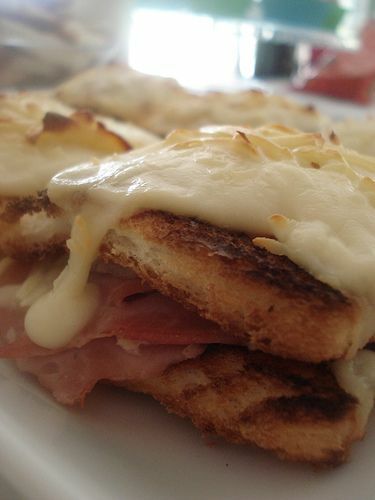 The best part of the Croque Monsieur is the combination of a crunchy bread, good ham, the best gruyere and the hot an bubbly Béchamel sauce that is for sure will satisfy your tummy! Served on a plate with French fries! 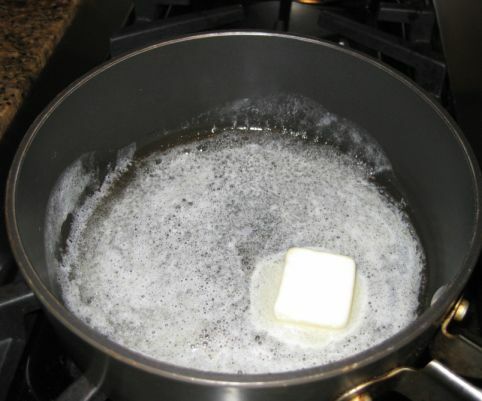 This is a great lunch! 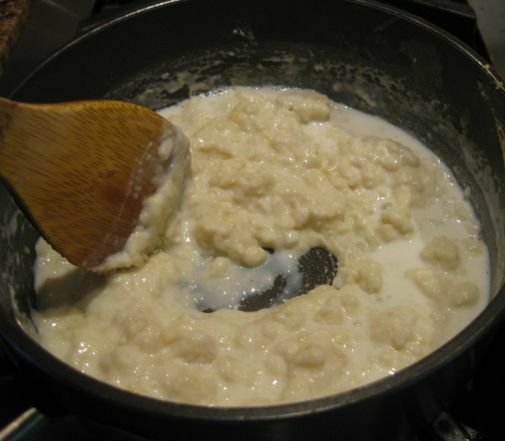 it is also good without any side dish. 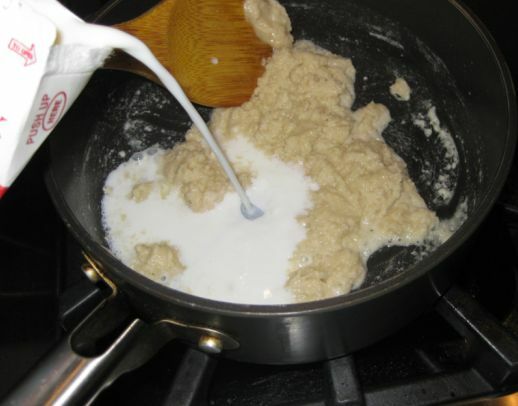 I am preparing the béchamel sauce by melting the butter. 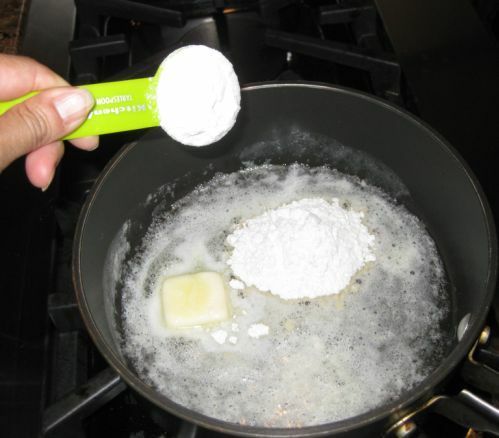 Once the butter is melted, flour is added to the pan. 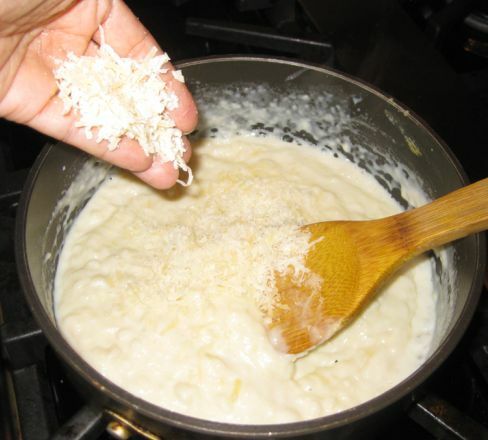 and then stirred in until the sauce all the cheese is melted. 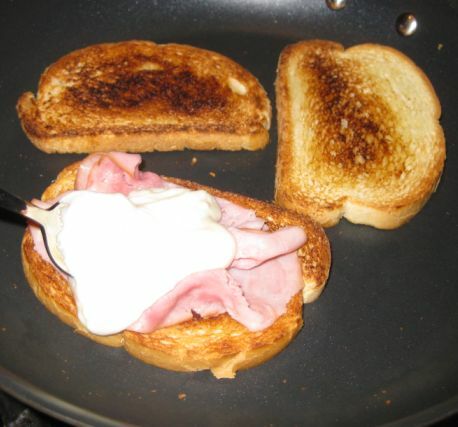 Ham is added and the Béchamel sauce is spooned in on top of the ham.